150% Match + 100 Wrestling Spins! 🔥 150% Match + 100 Wrestling Spins! This 25-line video slot became an instant hit at Sloto’Cash. Join us down to Mexico’s legendary underground wrestling! Note this is a High Variance game but you’ll still experience frequent bonus features to keep you busy hunting for big jackpot prizes! Go to the cashier’s ‘Redeem Coupon’ section and enter coupon code 150RUMBLE100 before making your deposit of $35 or more. 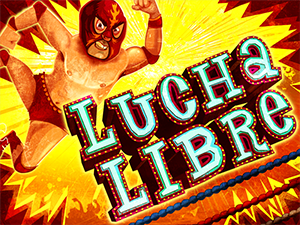 100 Free Spins on Lucha Libre will immediately trigger to increase your balance. Wager your 150% bonus on deposit plus your spins winnings 35x on slots, keno or scratch cards prior requesting a withdrawal. No max cashout!. Expires tomorrow, June 30th so act fast! 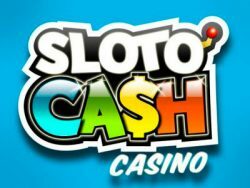 Casino Bonuses > Bonus > Sloto'Cash > 150% Match + 100 Wrestling Spins!